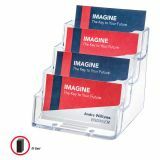 Use in reception areas, doctors offices, law firms, realty offices, retail stores, trade shows and anywhere multiple team members cards need to be displayed. 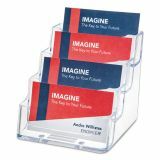 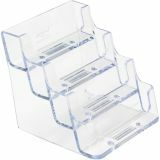 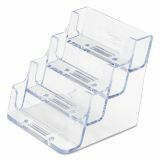 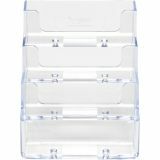 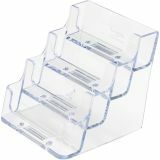 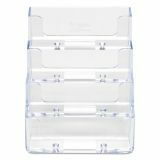 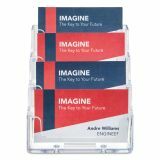 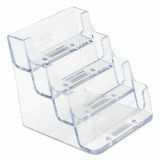 deflecto 4-Pocket Business Card Holder, 200 Card Cap, 3 15/16 x 3 3/4 x 3 1/2, Clear - Low-profile business card holder is ideal for doctors' offices, travel agencies and retail outlets. Clear acrylic design provides full visibility. 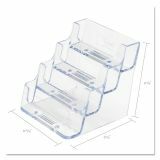 Four pockets are arranged in one row on an incline. 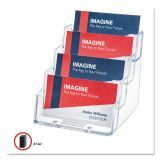 Use card holder on counter or desktop.